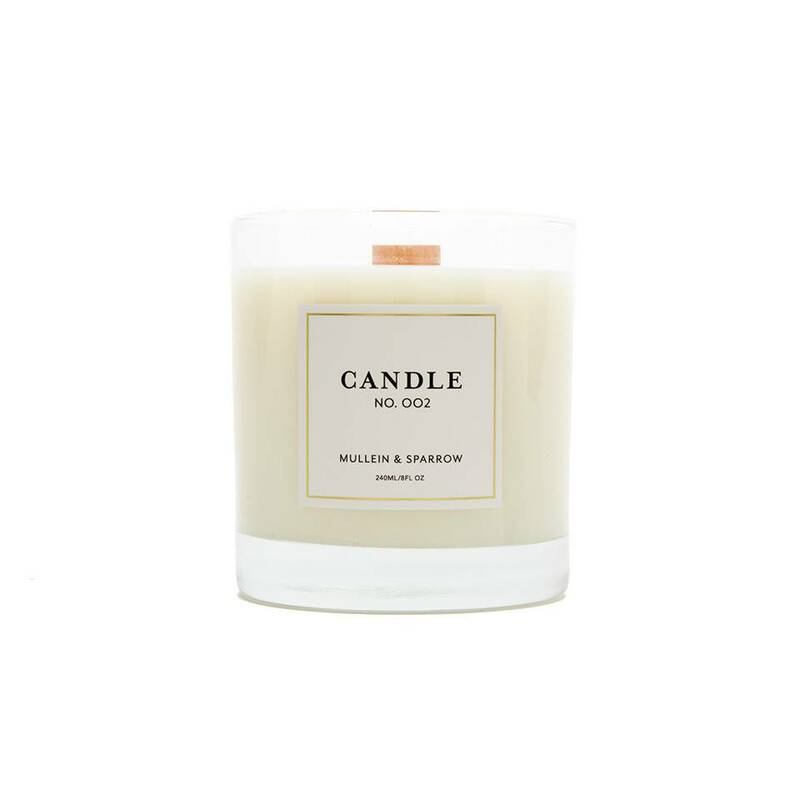 Mullein & Sparrow's vegan candles are made with 100% soy wax, sustainable wooden wicks, and a phthalate-free blend of essential and fragrance oils. Flowers are an intrinsic part of puja, or prayer, with the intention of offering both fragrance and petals as blessings. Evoking the temple altar are notes of jasmine, rose, lotus and sandalwood. DIRECTIONS: REMOVE CANDLE FROM ALL PACKAGING BEFORE LIGHTING. PLACE ON A HEAT-RESISTANT SURFACE. CANDLE WILL BE HOT WHEN LIT. KEEP WAX POOL FREE OF DEBRIS. DO NOT BURN CANDLE OR MORE THAN THREE HOURS AT A TIME. DISCONTINUE USE WHEN A HALF INCH (1.3 CM) OF WAX REMAINS. A CAUTION: ALWAYS KEEP AN EYE ON A BURNING CANDLE. KEEP AWAY FROM FLAMMABLES. KEEP OUT OF REACH OF ADOLESCENTS AND PETS. THE BURN TIME IS APPROXIMATELY FIFTY HOURS FOR AN 8 OZ CANDLE.